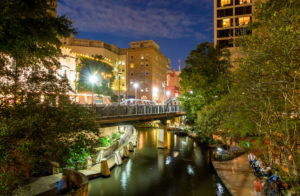 The city of San Antonio has chosen three different locations to test smart technologies, Brooks, downtown San Antonio, and the Medical Center. Last year, SmartSA was introduced by the city and united with CPS Energy, VIA Metropolitan Transit, SAWS Antonio River Authority. However, this year, all of these organizations created “innovation zones” to test out new equipment and machinery before permanently placing them throughout the city. San Antonio will be the test city, however, if results come back as expected, the companies want to expand these technologies to Las Vegas, Dallas, Denver, and Kansas City. Jose de la Crus, the Chief Innovation Officer, claims that the new technology will develop transportation, and will give people better access to the city’s services, water, and energy. The testing will give them the opportunity to see what will work best for people in San Antonio. The three areas were not selected randomly, but for a reason. Each area faces different encounters but also has their own benefit that is offered. The area at Brooks will give SmartSA the opportunity to test water overflowing, drainage, as well as the use of public internet routers. The Medical Center will be tested for overcrowding. SmartSA will try to develop the traffic and parking situation, as well as the safety of pedestrians there. At downtown, the partners will keep a close eye on lighting and the parking situation. The test results will help them come up with better parking and again, the safety of pedestrians in the area. The city has a lot of fundamentals that will allow it to succeed. So far, the city is doing a good job of testing the results, however, getting the financing to install these in other cities is the hard part. In the following few months, the partners of SmartSA will keep detecting the issues in the three areas in San Antonio. They will be communicating with the locals. After holding a vendor conference, they will start to install the innovation zones.